Every time I crochet I learn something new! I learn new stitches, I realize I’ve done old stitches wrong, I learn new edging styles or new variations on a classic shape. 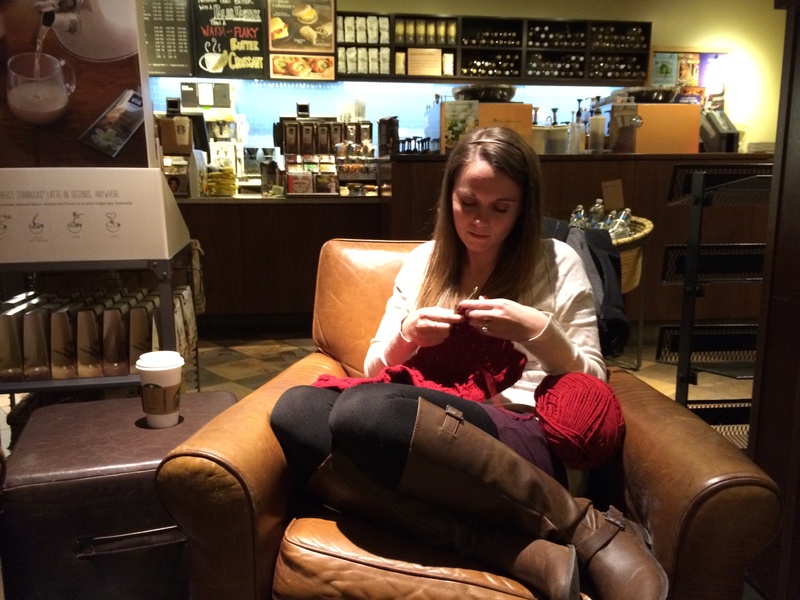 I just think crocheting is so fascinating! With just a hook and yarn and some loops and swoops, you can make almost anything! It’s so delicate – all it takes is one pull and you can undo every single stitch in one foul swoop – yet when you tie it off properly, it can withstand just about anything! It’s such an amazing feeling to actually produce something! I just love it. I crochet almost every night. Today, I wanted to share a few of my favorite crochet sites and projects with you! I learned to crochet completely online. When my husband and I were moving to Chicago from Champaign, IL, we had to make several trips back and forth to get all of our things up there. I’m not one for sitting still, so I decided to crochet a scarf. I ran to JoAnn Fabric on the way out of town, picked out some pretty yarn, randomly selected a crochet hook from the giant wall of crochet hooks, and hit the road. 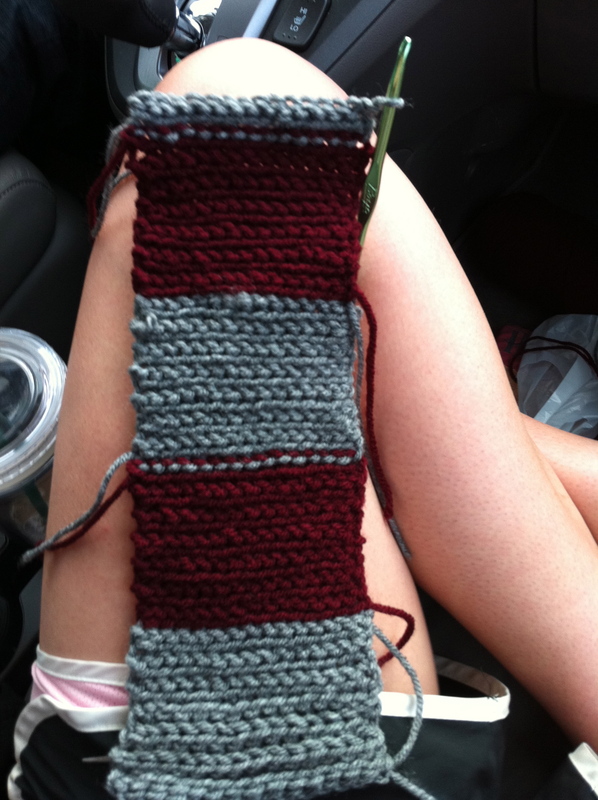 I used my iPhone in the car to look up “easy crochet scarf” and just kinda winged it. 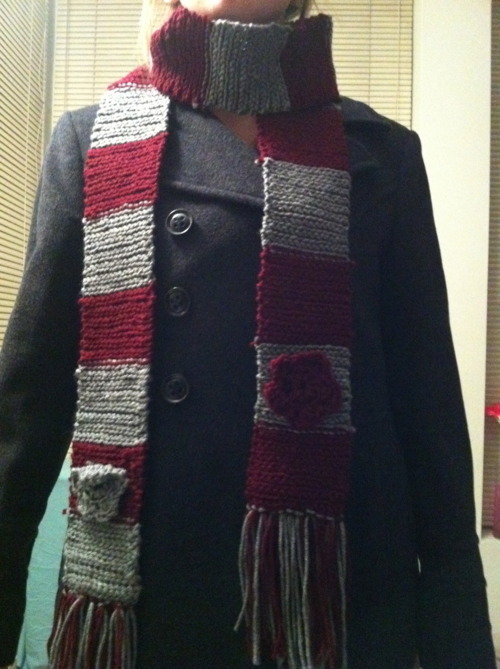 And I made this scarf. Looking back, I see sloppy edges and bad color changes. But I also see my first big challenge! Those flowers did NOT come easy. I remember sitting on my bed, watching The Wire, and trying and trying to make a flower and ending up with nothing but knots! Gosh was I frustrated! But I kept trying. And I learned! And now I can make any flower you can dream up. Anyway, I just want everyone know that you can totally do it, too! I’ve been bookmarking crochet sites for a while now, and here are some of my favorites. I really hope you check them out and give crocheting a shot! It’s such a great hobby! I’d also be happy to be a resource, too, if you have any questions at all! I never had anyone to ask questions, and it would have saved me a lot of time. So if you’re ever stumped, I’d be happy to help! Here are some great sites to get you started. Crochet Guru – This YouTube channel hosts a series of videos to teach a complete beginner how to crochet. The videos are in order and build upon each other to get you up and running in no time. I wish I learned on this site! Crochet Cabana Tutorials – This is the ultimate destination for starting crocheters! It starts with the very basics – materials, how to hold your hook, starting stitches – and has tutorials for standard and specialty stitches, as well as mini tutorials for all the crochet jargon that can really trip up a beginner. It will take you through your entire project from your starting chain to finishing your edging. Crochet Me Glossary – This is a complete glossary of stitches! I live on this. It’s a great resource once you get the gist of crochet, though, because it’s all pictures and text. If you’re just starting out, sometimes videos are more helpful. This is great, though, for a quick refresher for stitches like Hdc2tog, which have a lot of simple motions, but sometimes are hard to memorize. Solid. Don’t pay for patterns. I mean, don’t steal them, that’s not cool, but don’t pay for them. You can always find patterns for free, and then you can adjust or combine patterns to make them your own. I don’t know, maybe that’s just me, but I’ve never paid for a pattern. With all of these free patterns out there, you really don’t need to! Moogly – I recently discovered this site and love it! 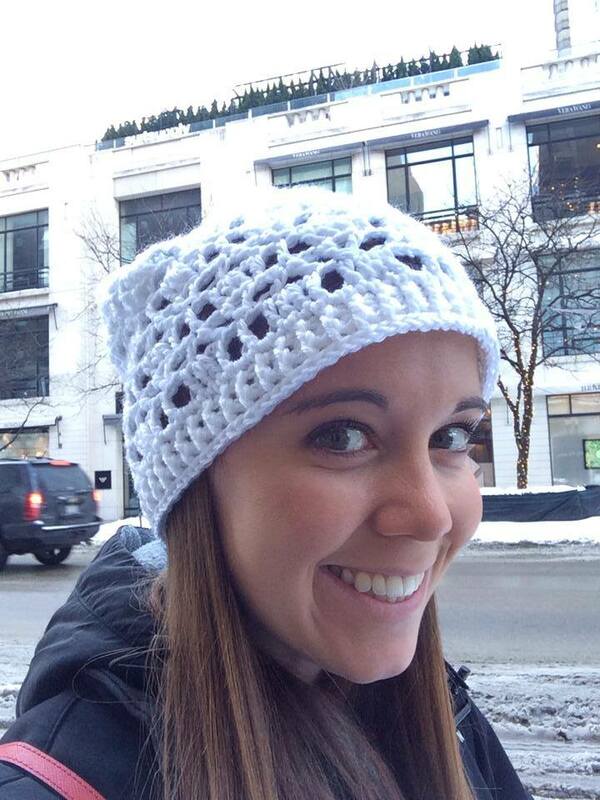 It’s got some great free patterns, including the hat I made in the photo above! Crochet Baby Booties – I can’t even get over how cute these are. Everything from Mary Jane’s (which I made and are adorable) to sneakers to rain boots to boat shoes! I can’t even handle it! Crochet Flowers – This site links up to tutorials to make any kind of flower you can imagine. Great for embellishing hats, scarfs and baby boots! Cupcake Hat – The world’s cutest candy shop, Dylan’s Candy Bar in NYC, had a cupcake hat for sale and it was all I wanted in the world. But it was $30 so I figured I’d just make it. This pattern is a spitting image of that hat. It’s adorable. Lacy Scarf – This is really pretty. I’ve definitely been loving the looser/airy stitches like this one. I’m really excited to try it. I think it will go really well with my hat! Crochet Pattern Central – This site is good if you know what you’re looking for. It is an aggregate site that links up to free patterns. There’s no pictures on the site, but it’s pretty well organized by category. Crochet Shamrock – My first and only EmJoyable original video Tutorial! Apple Coasters – I designed and wrote this pattern myself. I wrote it English, not crochet shorthand, so hopefully it’s helpful for new people. Hat Sizing Chart – Sizing is always hard for me. This chart helps with measurements, but doesn’t have stitch counts or anything. Good place to start though! That’s all I really have for today, but I really, really hope you’re inspired to get out there and try it yourself! I think if you give it a chance, you’ll be amazed at how fast you pick it up, and how addictive and therapeutic it can be!